He was also a budding developer, sophisticated architecture patron and astute observer of the urban condition. 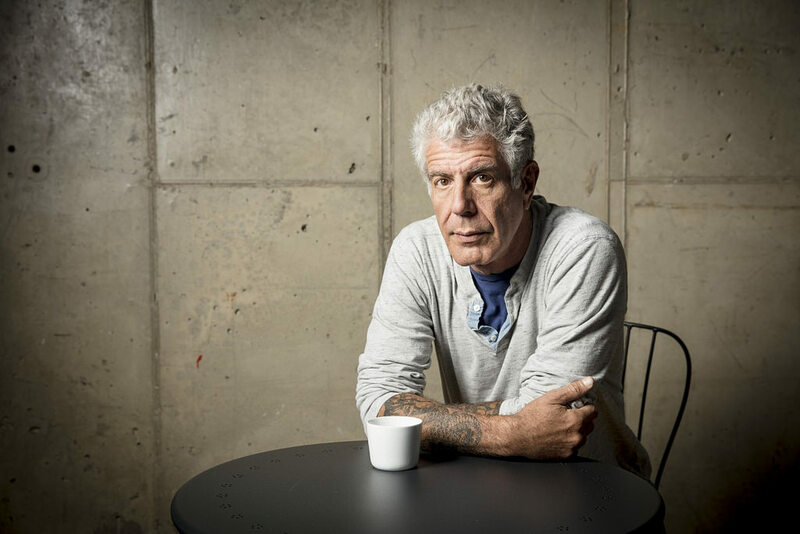 Bourdain, who took his own life last week in France, was well known for his writing about the restaurant industry, including his bestseller, Kitchen Confidential: Adventures in the Culinary Underbelly, and his television shows that explored the people, places and cuisines of faraway cultures, most recently Anthony Bourdain: Parts Unknown on CNN. Inspired by a food hall in Singapore, Bourdain Market was going to be the retail anchor for the redevelopment of Pier 57 off West 15th Street in Chelsea, with Roman and Williams Buildings and Interiors as designer of the food market. Announced in 2014, the 155,000-square-foot project would have been a food lovers’ paradise, the culmination of everything Bourdain gleaned from his world travels. Bourdain got far enough in the design stage to reveal enticing renderings of his proposed food emporium, with a farmer’s market, Asian-style night market, bakery, oyster bar and beer garden on the roof. But he ran into problems getting the project off the ground and disclosed last December that it wasn’t going to happen at that location. One problem was obtaining visas for all the people from other countries needed to bring the market to life. 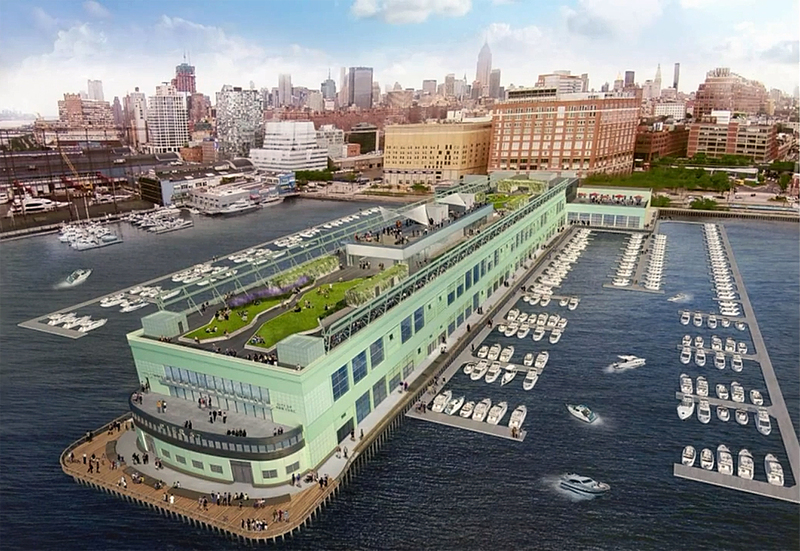 Bourdain also said Pier 57 was a complicated site and that he never had a lease with the developers. “Launching what is admittedly a very ambitious venture has proven to be challenging at every turn,” he said in a statement obtained by Eater NY. “It seems increasingly clear that in spite of my best efforts, the stars may not align at Pier 57.” Google now leases the one-time ocean liner pier. Bourdain said in his statement last December that he still hoped to carry out the project elsewhere in New York City, as long it’s true to his vision. On Friday, the founders of Roman and Williams, Robin Standefer and Stephen Alesch, expressed sorrow about Bourdain’s passing. Their message was one of many ways people reacted to the news of Bourdain’s death in a hotel room at age 61. In New York, mourners created impromptu memorials with flowers and notes outside two now-closed locations of Brasserie Les Halles, where he once worked. On Amazon, sales of Bourdain’s books skyrocketed. At least two restaurants announced plans to raise money to aid suicide prevention programs, in Bourdain’s memory. In their tributes, more than a few fans referred to Bourdain’s role as an urban raconteur, highlighting the places where people come together to enjoy food and each other’s company. “He taught us about food—but most importantly, about its ability to bring us together. To make us a little less afraid of the unknown,” tweeted former President Barack Obama, who had noodles and beer with Bourdain during a Parts Unknown episode filmed in Hanoi. “He brought the world into our homes and inspired so many people to explore cultures and cities through their food,” tweeted celebrity chef Gordon Ramsay. In his TV programs, Bourdain didn’t just feature the restaurants catering to rich people. He sought out places that serve everyday fare for the masses—pizza and hotdogs in Chicago, falafel in Dearborn, lake trout in Baltimore. He went to depressed areas so he could look at the underbelly of cities, just like he wrote about the underbelly of the restaurant world. Along the way, he shared his opinions about what keeps cities alive, and what doesn’t. One of Bourdain’s most memorable programs was a No Reservations episode for The Travel Channel called “The Rust Belt,” which he also referred to as “The Fucked Up Cities Show.” In it, he visited three downtrodden cities, Buffalo, Detroit and Baltimore, to see what lessons they hold. Bourdain was reportedly working on a documentary about Detroit when he died. He admired the resilience of its residents working to recover from hard times, and he wondered what that recovery might look like. He was a champion of authenticity in a world consumed by fads. “One only need look at New York’s Lower East Side, or Meat District, to see what’s possibly coming down the pike for Detroit when it inevitably ‘recovers.’ What’s coming down the pike for all of us,” he blogged in 2013. Bourdain’s writing was full of caveats like that. He didn’t have all the answers. And he never got to open his global food market. But he left behind a body of work—and a legion of fans and collaborators—that make it possible to see what’s most promising about cities, and how to capitalize on them.